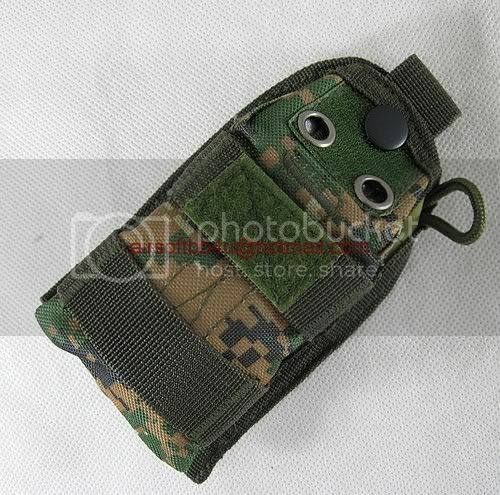 This pouch is based on the old SDU-5E pouch, but updated with new materials and features. It will fit the older SDU-5E and the newer MS-2000S stobes, or any small, similarly sized items. It's a perfect fit for my compact Sony digital camera. 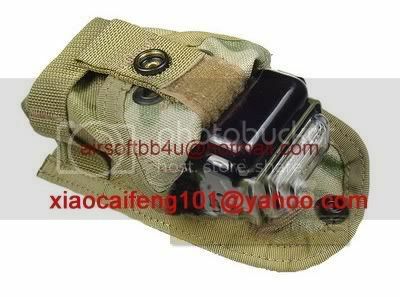 The pouch has a snap closure, and the flap can be folded back and secured via velcro to expose the top of the strobe. When closed, two grommets in the flap allow the strobe to be used when reduced output is desired. 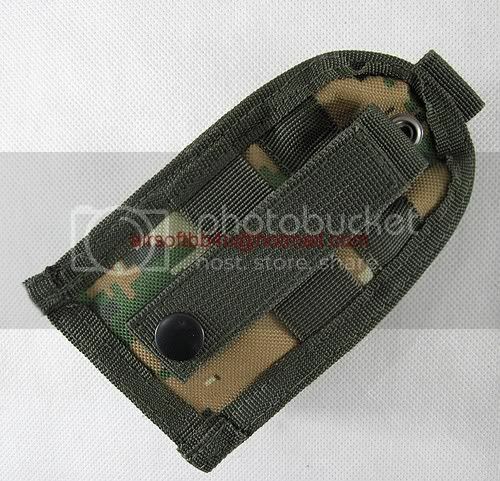 A dummy cord loop is provided inside the pouch and an internal strip of hook velcro lines the front of the pouch, to secure a strobe that has hook velcro stuck to it. 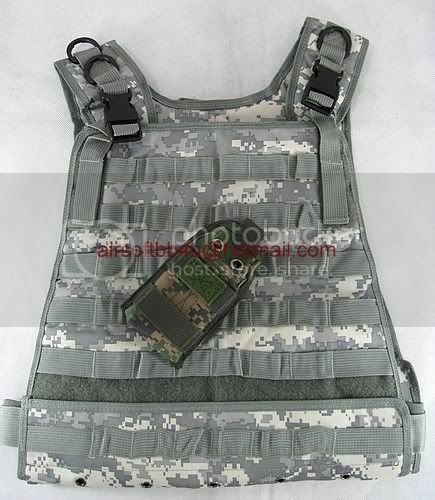 Two horizontal rows of webbing allow additional pouches to be attached to it. The loop velcro square on the upper row serves to keep the top flap open, or a place to stick an IR square.